As an NACD member, Seacole is committed to the guiding principles of Responsible Distribution, a mandatory third-party verified environmental, health, safety and security program dedicated to continuous performance improvement in every phase of chemical storage, handling, transportation, and disposal. 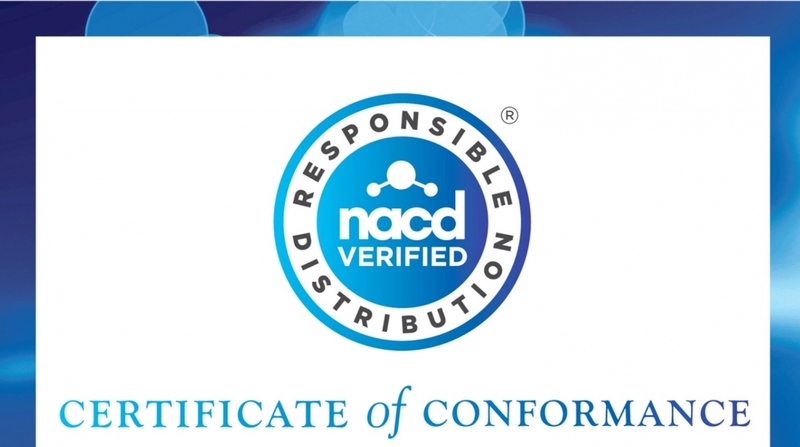 We are proud to announce that we have achieved verification as a NACD Responsible Distributor. Responsible Distribution is a condition of membership in NACD, and all members are third-party verified at least once every three years. Click here to see Seacole’s verification certificate. Here is more about Responsible Distribution and how it helps us serve our customers, employees, and community better. As an NACD member, Seacole is part of an international association representing chemical distributors and their supply-chain partners. We, and all NACD members, meet the highest standards in environmental safety, performance, and security, putting our employees, communities, and the environment first. NACD requires all of its members to participate in the Responsible Distribution program, touching every aspect of the chemical distribution process, from storage and handling to transportation and disposal. To become verified, a third-party company visited Seacole to measure our processes against the Responsible Distribution Guiding Principles. Among other requirements, Seacole demonstrated compliance with all applicable federal regulations, proper training for our team, and thorough and accurate definitions of roles within our organization. To ensure the verification process is as objective as possible, NACD implements a third-party verification system when evaluating members in its Responsible Distribution program. Now that we have been verified in Responsible Distribution, we’re excited to fully participate in all of the continuing education, workshops, and other benefits the NACD offers. On average, chemical distributors who participate in the NACD Responsible Distribution program have fewer shipping incidents and fewer workplace accidents. Seacole is able to get your shipments to you not only safer, but faster. We employ engaged experts to bring you better products. Our practices are safe and sustainable for our team and yours. We can train your team on how to safely manage, store, and use the products we supply you. Seacole is proud to be a member of the NACD. For any questions, please contact the Seacole team today.